In a few days, the world's tallest statue, the Statue of Unity dedicated to Sardar Vallabhbhai Patel will be unveiled by Prime Minister Narendra Modi. Sadhu Bet, located some 3.5km away from the Narmada dam, is linked by a 250-meter long bridge. Flowers will be grown on the hillocks adjoining the statue to make the 230-hectare area look like a Valley of Flowers. For several reasons, scarce scholarly research has been done on the internal history of the Congress; the main cause is probably that a section of the party would prefer to keep the history under wrap. Take the acute difference of opinion between Sardar Patel, the Deputy Prime Minister and ‘Panditji’, as Nehru was known. 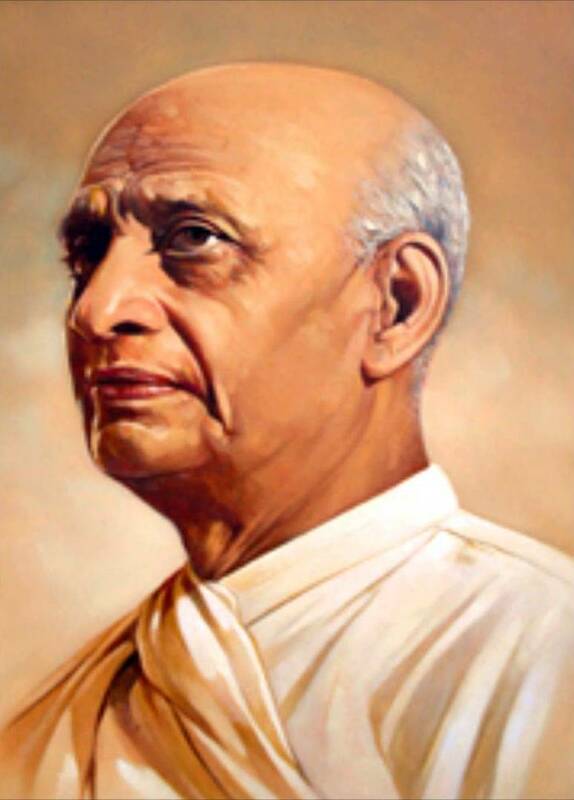 In the last weeks of Patel’s life (he passed away on December 15, 1950) there was a deep split between the two leaders, leading to unilateral decisions, for which India still has to pay the heaviest price. 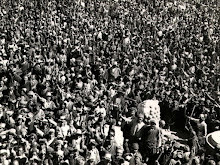 The most serious apple of discord was Tibet’s invasion by the Chinese ‘Liberation Army’ in October of 1950. In the course of recent researches in the Indian archives, I discovered several new facts. Not only several senior Congress leaders, led by Patel, (other leaders were C. Rajagopalachari, President Rajendra Prasad, KM Munshi, etc) violently opposed Nehru suicidal policy, but many senior bureaucrats too, did not agree with the Prime Minister’s decisions and objected to his policy of appeasement, which lead India to lose a peaceful border. It is usually assumed that on November 7, Sardar Patel wrote a ‘prophetic’ letter to Nehru, detailing the implications for India of Tibet’s invasion. In fact, Patel used a draft given by Sir Girja Shankar Bajpai, the Secretary General of the Ministry of External Affairs and Commonwealth. A month after the entry of the People’s Liberation Army in Tibet, Patel sent Bajpai’s note under his own signature, to Nehru, who decided to ignore the Deputy Prime Minister’s letter. Bajpai, the most seasoned Indian diplomat, lost his legendary cool after witnessing the nefarious influence of KM Panikkar, the Indian Ambassador to China, who ceaselessly defended the Chinese interests. On October 31, in an internal note, Bajpai detailed the sequence of events which followed Tibet’s invasion and the role of Panikkar, whose attitude was compared to the one of Sir Neville Hendersons toward Hitler. What decided Patel to send his letter to Nehru was a note from the Intelligence Bureau (IB). We are reproducing below the IB note which is probably dated from the end of October 1950. The IB Note was sent by Sardar Patel along with his letter to the Prime Minister. India occupies a very important position in the general pattern of world communism and next only to Russia and China. As early as 1923 Lenin after posing the question “Can we save ourselves from the impending conflict with these Imperialist countries”, gave the answer in the following words” “In the last analysis the upshot of the struggle will be determined by the fact that Russia, India and China account for the overwhelming majority of the population of the globe and it is precisely this majority that during the past few years has been drawn into the struggle for emancipation with extraordinary rapidity so that in this respect there cannot be the slightest shadow of doubt what the final outcome of the world’s struggle will be. In this sense the complete victory of socialism is fully and absolutely assured”. Lenin also said that the shortest way to Paris was through Peking and Delhi. In 1924 Moscow declared that India most stand at the head of free Eastern Republics. This view has been reiterated by Soviet leaders since 1923 on numerous occasions and even as late as 1949 Malenkov, the Communist leader next only to Stalin in Soviet Russia, stressed this aspect of the revolution. In fact, India is considered to be the pivotal point round which the south East Asia and the Middle East Asia must revolve not only because of her strategic position but also on account of her vast resources, non-power and moral influence. In articles published in 1949 in the “Problems of Economics” in Moscow, it was stated that during the period between the first and second world wars China was in the vanguard of the revolutionary movement of the peoples of the colonies and semi colonies and now during the period between the second and the third world wars it was India’s turn to take its place. Consistent with these steadfastly held ideas, the USSR and International Communists can never give up their ambition of converting India into a communist State and in fact they can never feel secure in their socialism me long as India does not accept and practise the same creed. Just as India’s struggle for freedom culminated not only in the achievement of independence for India but also for many neighbouring countries, and it is India’s example which is inspiring freedom struggles in other colonial countries in Asia, similarly there is no doubt that India’s conversion to the Communist faith will also envelop all the neighbouring countries in communism. So long as India holds out these countries can also held out, but if India goes they cannot resist. The International Communism therefore must do everything possible to convert India to communism. There is no question of their deviating from this idea by any amount of negotiation or diplomatic pressure. In all Cominform and Russian authoritative publications and even in the publications of the satellite countries, India has been described to be a colonial state, groaning under the heels of the Anglo-American Imperialists and the ‘Nehru’ Government as their lackeys. The Indian Communists have been repeatedly told to unite all progressive classes against the ‘Nehru’ Government, create agrarian troubles and initiate armed struggles which have been held to be the only way in which national liberation can be achieved. All groups in the Communist Party in India have accepted this directive and are trying to pool all their strength to follow it by creating new Telanganas everywhere and put the countryside progressively on the rails of armed struggle. As has been seen repeatedly in the past, Russia and her satellites are quite willing to negotiate on their own terms but they have always achieved their aims by the application of force only. 2. Soviet Russia now feels that India will be more swayed by the influence of China than of Russia and Mao Tse Tung will make a better leader for the Indian masses than even Stalin can. 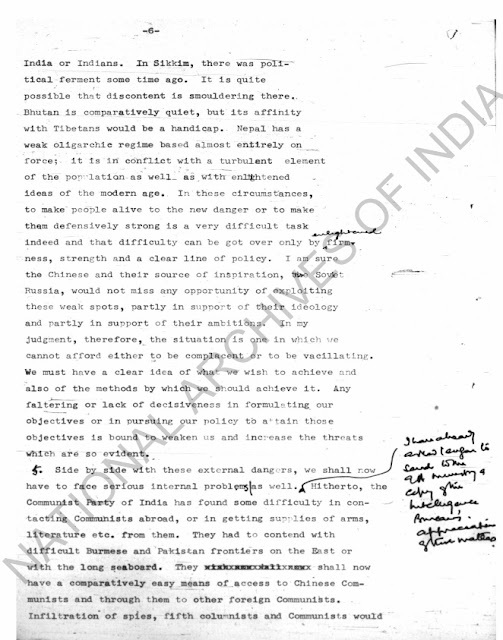 It is with this object that the Peking Liaison Bureau was established last year, that Mao Tse Tung has been given a dominating voice in the affairs of India and Far east and that the Indian Communists have been told by numerous Communist publications, as well as by the Cominform, in clear unambiguous words, to follow the China way to victory. If therefore the occupation of Tibet by the Communist forces gives to the world Communism any strategical and tactical advantages of furthering the cause of communism in India, all such advantages will be exploited legally and illegally to the fullest extent without any consideration for international conventions and even though the Chinese Government may continue to remain superficially in the friend list terms with the Indian Government. And the occupation of Tibet by the Chinese Communists does open up vast possibilities for creating internal disorders and disruptions within India. 3. Up till now India’s northern frontier from Ladakh in the west to the Sadiya Hill Tracts in the east has been free from any dangers of external invasion or from even any subversive movements fostered by external forces. With Tibet as a weak and autonomous country, giving many facilities to India which no other independent country would give, India could rightly feel absolutely secure about its northern frontier and this sense of security was reflected in is best in all the policies followed with respect to this northern frontier and actions taken for its security in these areas and on the understanding that no danger would come to India from the north very little security measures have been taken which in the altered circumstances will be found to be completely inadequate. 4. Within our borders in all these frontier areas live races and tribes who have been practically semi independent and who by religious, linguistic, cultural and ethnical ties are bound more with Tibet than with India. In fact, the hill tribes of the Sadiya Hill Tracts, the Bhutanis, the Sikkimis or the Ladakhis have little affinity with the Aryans of the Gangetic and the Brahmaputra Valleys. The tribes living in the Sadiya Hill Tracts have never been properly subordinated and India exercises only nominal authority over them leaving them free to live their own lives. If given a choice to affiliate either with India or with Tibet, under existing circumstances they are almost sure to vote for Tibet and not for India. Bhutan’s foreign affairs are controlled by India, but this has been possible only because Bhutan’s other neighbor, Tibet, was weak. With a new and aggressive Tibet under China’s guidance there is every likelihood that Bhutan will change her attitude towards India and by all standards the Bhutanese are more akin to the Tibetans than to the Indians and given the freedom of choice there is no doubt in which direction her choice will lie. Sikkim is inhabited by a large number of Tibetans and members of the ruling family have all their marriage ties with the Tibetans. There is little to distinguish between the Sikkimese and the Tibetans. Kalimpong and Darjeeling were originally parts of Sikkim and a fair proportion of the population in these areas also consists of the Sikkimese and the Tibetans. Nepal, which forms the frontier with Bihar and U.P., has got a regime which in extremely unpopular and where the ruling family is sitting on the top of a volcano which may burst out at any moment. Similarly, Ladakh is more a part of Tibet than of India. 5. With an aggressive Chinese Communist Government in Tibet, intent on furthering the creed of International Communism in India and holding the belief that World Communism and so Communism in China can never be safe unless India becomes a Communist country and following the basic Communist creed that the International proletariat (which in other words means the Soviet and the Chinese Governments) must assist the peoples of all Colonial countries (which include India) in their fight for national liberation (which in India means the overthrow of the ‘Nehru’ Government), every method will be adopted to disrupt the integrity of India and what will be more opportune and easy than to foster trouble in these frontier areas where India’s administrative control is not strong and where her cultural influence is less. All these tribes living the frontier regions will be directly encouraged to agitate for independence so that they can later be drawn into the Communist fold. Russia’s method of solving the problem of small nationalities has been extremely successful and it appeals to all under-civilized tribes and races. Communist China has successfully prosecuted the same policy within its own frontiers and India must be prepared to meet this challenge. There are large numbers of Gurkhas who are residents of Tibet and just as the Chinese formed a Tibetan Liberation Army, similarly they after the occupation of Tibet will form a Nepalese Liberation Army and attempt to liberate Nepal where the present rulers can show very little resistance. There is reliable information that the Nepalese Communists are trying to go into Tibet to contact the Tibetan and Chinese Communists. Even on the eastern frontier of Assam, China claims the northern triangle of Burma, which is inhabited by the Kachins, as part of her own territory and there are reports that some Kachin leaders have already gone to Yunnan and are receiving training under the Communists, probably to form a Kaohin Liberation Army. Burmese Government will be able to offer little resistance to it. If Kachin goes under the Communists, the tribals living in the Naga Hills, Manipur and the Lushai Hills will start trouble because even now the Lushais, the Kukis and the China living on this frontier areas are trying for accession of their territories to Burma. They certainly have more ethnical and cultural ties with the population on the other side of the frontier than with the Aryans of India. Even the Ahoms have agitated for linking up with the Kachins to form an independent State. For the sake of her security, India must firmly retain her hold or influence in these areas because once India loses her control her entire belly will be opened up to direct attacks. 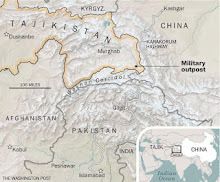 Militarily also these areas can be held with comparatively smaller forces but once the Communists establish their hold in there areas the defence of the plains will become extremely difficult and will require large manpower. Communists will no doubt arm these tribals and make them the spearheads of their attacks on and frays into India. There areas will then be just as difficult to protect as the N.W.F.P. has been in the past. 6. With China on India’s long unguarded frontier, the Indian Communists will be in a good position to get help by the way of supply of arms, by the infiltration of trained agents and by direct contact with the Chinese Communists. The Indian Communists have been badly mauled during the last 2 ½ years and they are passing through a difficult period and there is definite information that they are wanting direct guidance from the foreign Communists. So far attempts to make such contacts have to a great extent been countered by Governmental action but with China strongly entrenched in Tibet it will be extremely difficult to stop this contact. With the commencement of trouble in the frontier areas where India’s Armed forces will have to be moved, more Telengana struggles will be launched in India itself so as to dissipate India’s Armed forces by wide dispersal. Communications and industries will be sabotaged to make the movement of troops difficult and to disrupt India’s economy thereby creating wide dissatisfaction amongst the masses. These are not more speculations because it is known that these firm instructions have been issued by Soviet Russia to the Indian Communists and the circulars issued by the C.P.I. show that the Indian Communists are preparing to carry out these directives. Therefore the occupation of Tibet by Communist China not only raises problems of security from external danger across India’s long and practically unguarded frontiers and problems of security in the border tribal regions now under India’s control but also very serious problems of internal security in the Sub-continent itself. Suggestions that follow for taking measures against this three-fold danger cover many aspects of the problem, many of which are not the concern of the Intelligence Bureau but they are being made to provide material for the M.H.A. to make final proposals to the Government. Modern administrative measures should be introduced immediately. The area held by each tribe should be formed into a district and a District officer with all necessary staff should be posted. Police Stations should be opened and instead of continuing the old tribal system of maintaining law and order, modern Police methods of administration should be introduced. District officers should make a detailed survey of the economic needs of the areas under them and see that these needs are met by supplies from Indian so that economically these areas are tied to India and not to Tibet. Schools should be opened in which the languages to be taught will be both Hindi or Assamese and the tribal so that the inhabitants may gradually forge cultural links with the plains people. Hospitals and dispensaries should be opened and philanthropic missions, such as the Rama Krishna Mission, may be encouraged by payment of subsidies to open centres in these areas. The strength of the Assam Rifle battalions in these areas should be increased and each district should have the minimum equivalent of one battalion with reserves kept at strategic centres. In the Assam Rifles, the recruitment of northern Indians should be encouraged because in any conflict with the tribes the tribal element in these units may not be found to be very loyal, as has been experienced with the Tripura Rifles recently. These regions should continue to remain directly under the Central Government. The existing administration in Manipur and Lushai Hills should be further strengthened and Police Stations should be opened in the Lushai Hills area. The economic needs of these areas should be studied and met from Indian sources. Indian language should be popularized through schools and other welfare measures should be undertaken. The Naga Hills area, which is at present unadministered, must be brought to the same level of administrations as has been proposed for the Sadiya Hill Tracts. These areas should be under the direct control of the Central Government. It is necessary to strengthen Bhutan’s ties with India by changing the treaty, if possible, and placing more advisers in the Bhutan administration. More outlet for Bhutan’s trade with India may be created at Government’s initiative instead of leaving it to private enterprisers. Education and medical missions may open schools in Bhutan just as Christian Missions may open schools in Bhutan just as Christian Missions may open schools in Bhutan just as Christian Missions have been educating the tribals, aborigines and backward people in India and China for over a century. The new treaty should have a clause to enable India to post troops in Bhutan for protecting her from external dangers if such a provision does not already exist. India’s control in this territory may be further tightened and the Sikkim Congress group, which owes allegiance to the Indian National Congress, may be encouraged. Here also, under Indian Government’s efforts educational and medical missions may be established to forge more closely Sikkim’s ties with India. Administration may be brought to the level of an Indian district. A strong contingent of troops should be posted in Sikkim as the highway from Tibet to India traverses Sikkim before entering Darjeeling district. India’s present treaty with Nepal allows for consultations in case of external danger. The present Nepal Government certainly does not welcome communism in its territory but is hardly in a position to resit Communist aggression. Therefore the Nepal Government will probably be only too willing to accept India’s assistance in warding off this external danger. For improving internal resistance, a more democratic set-up is necessary. The consultations may give India facility to ask Nepal to allow her army to be trained by Indian officers in the same way as the Russians are training the Czech and the Polish armies. India should provide equipment to the Nepalese army. The administration here should also be brought to the same level as in rest of India and police stations should be opened in this Valley. Economic, educational and medical measures may be taken as in the other areas. The Defence Department must be considering problems from its own angle but what needs to be emphasized is that the communist world understands force and nothing else. They will be willing to negotiate but will follow Bismark’s policy of always keeping a million bayonets behind to support their discussions and agreements can be reached only on their own terms. The defence needs of Assam, Bhutan and Sikkim, as sell as Nepal, have to be closely studied. The presence of strong units ready to strike back will not only discourage any aggressive acts from across the border but will also keep the hostile elements within our own frontiers under subjugation. It is presumed that China will allow an Indian Consulate to work either at Lhasa or at Gyantse. There should be posted to this Consulate an Intelligence Officer of the experience of an Assistant Director of the Bureau. As Tibet cannot be immediately drawn behind an impenetrable iron curtain, the possibilities of collecting intelligence in that country will be great. This post should be linked with the Intelligence post at Kalimpong. Details of developing this intelligence and communication will be worked out in detail and are beyond the scope of this note. There should be an Intelligence Officer of the rank and experience of assistant Director in our Embassy in Peking with assistants in Shanghai, Hongkong and other places where we have Consulates or other offices. It will be impossible for the Embassy officials without an Intelligence Officer to get full intelligence of intentions or contemplated actions which may be contrary to India’s interest. 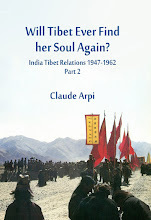 In the present case of the invasion of Tibet the shortcomings of system of collecting intelligence by the Indian Embassy in Peking has been only too evident. In China also the possibilities of setting up a good intelligence system are good. In the Indian Embassy in Rangoon should be posted an Intelligence Officer of the rank and experience of an Assistant Director, with the large Indian population practically all over Burma, a good intelligence system can easily be established. A branch will have to be opened in Kachin area. Links will be with the S.I.Bs. at Calcutta and Shillong. Details will be worked out separately. (The British have their intelligence organisation both in China and Burma). An Intelligence Officer of the rank of a D.C.I.O. should be posted here and may be attached to any mission which India may establish at Punakha. This post will be linked with the post at Kalimpong. Border watch posts will have to be established in the north to prevent infiltration. An Assistant Director from the Bureau has already been posted at Khatmandu. In the consultations which Nepal Government will have with India, it may be decided that this officer should have full assistance of the Nepal authorities and would liaise fully with them. As the danger from Communists is same both to India and Nepal, therefore co-operation on this aspect should not at all be difficult. Our Embassy at Khatmandu is already in radio-telephonic communication with Patna and this post will be linked with our post at Patna. Nepal will have to be persuaded to open border watch posts in the northern frontier. A scheme for establishing frontier watch posts was prepared in the Bureau and approved by both the M.H.A. and M.E.A. The implementation of this scheme was however kept in abeyance due to financial reasons and also because it was believed that China would not take any immediate aggressive action against Tibet. As however the situation has radically changed, this scheme should be sanctioned immediately. It visualizes the opening of watch posts all along the Indo-Tibetan border to guard all the passes. The intelligence set-up inside India is good and is well posted with the activities of the Indian communists. Improvements are constantly being made. No special step is therefore necessary. All Branches will be alerted to be more vigilant about Communist activities. All attempts to establish Telangans must be frustrated by resolute and timely action. Gun-running must be stopped because without arms liberation armies cannot be set up. Every action should be taken to prevent contacts between the Indian and the Chinese Communists. (Dange has been found to be in contact with the Chinese Ambassador in Delhi). China’s invasion of Tibet should be exploited to prove the aggressive intentions of Communist China. (viii) Registration of Tibetans & Chinese. 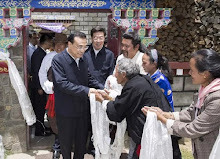 The Chinese are already being registered and the registration of Tibetans, who will become Chinese nationals after China occupies Tibet, should also be under-taken immediately. Restrictions should be placed on their movements in and out of India and it will be necessary to exercise strict vigilance over the large Chinese population in India and make them conform to all the restrictions which the Act imposes. This may look to be too drastic but proper discretion can be utilized in making the movements of innocuous Chinese as easy as possible whilst exercising real surveillance over the suspects. In the frontier regions, except near Kalimpong and Gangtok (Sikkim) road communication is extremely difficult and consists mostly of foot or mule tracks and there is no telephone or telegraphic communication. For developing proper security measures it is necessary to open up roads in all these areas and also have a net-work of telephone and telegraph lines and wireless stations. 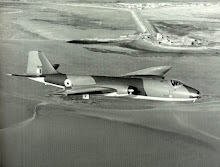 The utility of well-developed communications in subordinating hostile tribes was well demonstracted by the policy which the British Army followed in the N.W.F.P. 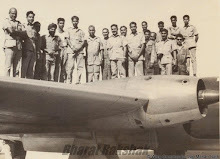 Acutually on many occasions in the past the need for improving communications in these inaccessible areas was recognized by the Government but as there was no immediate danger to India’s security from across these frontiers any expenditure incurred on this work was probably considered to be uneconomic. However, these communications are very necessary for security purposes in the changed circumstances and therefore the development of both road and tele-communication should be undertaken without delay. With the Chinese army in Tibet, which is used to fighting in mountainous territories, probably certain regrouping of India’s Armed Forces will be necessary. As these are however limited, unless new units are raised, which will mean incurring large expenditure, withdrawals have to take place from Commands where no external danger of aggression is present; but these areas, like Telengana, may be important from internal security point of view. But for internal security work and even for operations against armed Communists and operations on the frontier tribal areas, regular army is not necessary, nor is it advisable to dissipate the Army’s strength in this way. Military Police Units of the type, which have been raised in Bihar, U.P., N.Bengal, Madras and Delhi and also the C.R.P. and which are already operating in Hyderabad, should be sufficient to deal with these internal disorders and for maintaining vital communications. It is therefore necessary to examine urgently the question of increasing the Armed Police strength in U.P., Bihar, Bengal and Assam, increasing the strength of the Assam Rifles, Tripura rifles and raising new Units as Manipur Rifles and increasing the strength of the C.R.P. The expenditure incurred on maintaining such Military Police will be much less compared to that of maintaining the same number of troops and for the purpose for which they are intended they will be equally effective. This will leave the Army to concentrate itself on its training and fighting external aggression, if that contingency arises, and for which preparations have to be kept ready. Details of these internal security forces can be separately worked out. 11. This note is not meant to be alarmist but only for the purpose of suggesting precautionary measures for meeting the dangers which are inherent in Communist China’s occupation of Tibet. 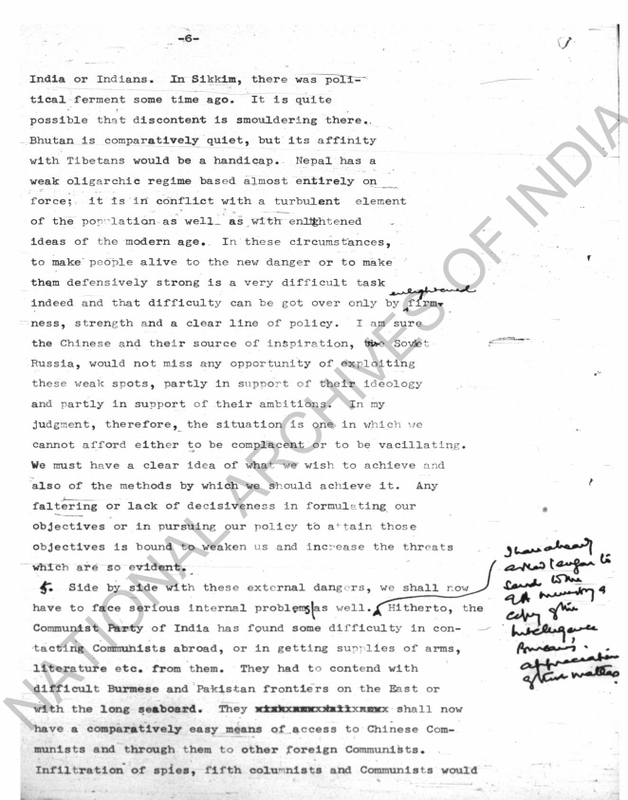 As has been stressed at the beginning, international Communists can never give up their idea of drawing India within their fold and can never feel secure till they have succeeded in achieving this object and therefore they will follow every method possible, legal or illegal, conforming or not conforming to international conventions to further their aims and experience has shown in Korea and Indo-China that Chinese Communists are quite prepared to give material aid to the local Communist Parties in the latter’s attempt to seize power by force. The measures suggested are meant to resist the implementation of any such aggressive intentions. Some of the measures, suggested above, such as setting up better administration in frontier areas and efficient intelligence organizations in the frontier regions and outside our frontiers will take a long time for full implementation and therefore decision about the measures necessary may be taken immediately so that no further time may be lost in making a start with those of the suggested security measures which are approved.